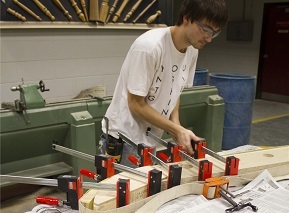 Combine in-class training with real world experience in the Woodworking Technology (Optional Co-op, 3 Year) program. 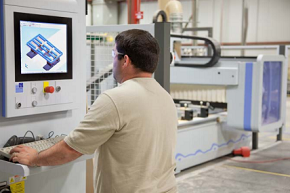 You will learn the fundamentals of producing quality furniture, cabinets and architectural millwork. This program also incorporates a co-op term where you will gain experience putting your skills to the test in a real world production facility or shop. 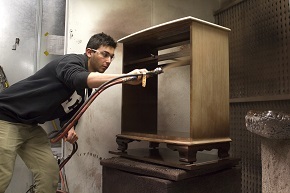 Gain a solid foundation in applying modern manufacturing techniques to the production of furniture, cabinets and archtectural millwork in the Woodworking Technician (2 Year) program. Your second year is devoted to extensive project work where you will apply your knowledge of conventional and computer-controlled machines to your work. 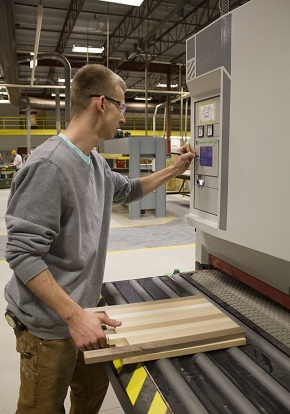 In the Cabinetmaker (Apprenticeship) program you will combine the theoretical knowledge of cabinetmaking with the practical training needed to meet the requirements of your apprenticeship. Students applying to this program must first be registered apprentices with the Ministry of Advanced Education and Skills Development and be in good standing with the Ontario College of Trades.